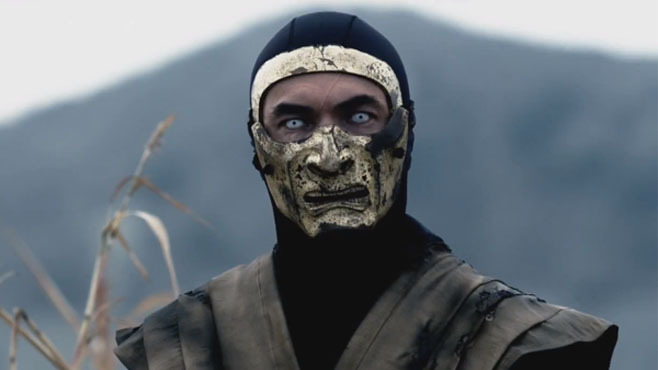 Kevin Tancharoen took the internet by storm several years ago when he made a low budget short film Mortal Kombat: Rebirth and starred Michael Jai White, Matt Mullins, and Lateef Crowder that rebooted the Mortal Kombat series into a much darker, more violent property than the feature films ever were. The short film was a success, finally displaying a good martial arts fight scene and still retaining what made Mortal Kombat great. The powers that be at the WB were impressed, and rightly so. They gave Tancharoen the funds and resources to make a Mortal Kombat webseries. Bringing back Michael Jai White and Matt Mullins, along with Jeri Ryan and Darren Shalavi as Kano, matched together with the fight choreography of Larnell Stovall, and they had an online hit. The Mortal Kombat universe was successfully rebooted for a new generation. So now we have Season 2. How did it fare this time around? The answer is…not nearly as good. The series starts with the first appearance in the series of Liu Kang (Tee), the hero of the last tournament, now a violent drifter after the death of his fiancee at the hands of a group of thugs. His brother Kung Lao (Dacascos) comes to tell him that he will fight in the tournament, but Liu Kang, his soul darkened by revenge, wants nothing to do with the tournament or his brother. Meanwhile, Princess Kitana (Jo) is coming to terms with the revelations she discovered from last season about her true heritage, while Sub-Zero tries to reason with Skorpion about the attack on his family from last season. All of this at the backdrop of the tournament itself…. So, let’s first get to the things I didn’t like. The stories overall were ok, but not nearly as good as last season, especially since Michael Jai White, Jeri Ryan, or Darren Shahlavi and their characters are absent, as we get an entire new group whose stories I could care less about, especially that of Kenshi. The story of how he got his sword is weak, and I could’ve done without knowing anything about him. Casper Van Dien doesn’t bring much of anything to the role that Matt Mullins couldn’t have done, and his fight scenes were unconvincing, unlike with Matt, who is a real martial artist. The Mileena/Kitana storyline didn’t follow through from last season with any real weight. The biggest disappointment I had with in regards to the Sub-Zero/Skorpion storyline, arguably the best of season 1, and it is here that I send a criticism straight to Kevin Tancharoen for not standing on the table and keeping their story in Japanese with English subtitles (maybe he did try to argue for it), which completely took me out of the scenes in Japan. I would ask anyone to watch the Season 1 Episodes and Season 2 and tell me a large piece of authenticity wasn’t lost. Tack onto that how their story ends this season, and it was infuriating, especially if you’re a Sub-Zero fan. It was hard to care with so many cast members from Season 1 gone, and the Skorpion/Sub-Zero story was disappointing. I think there are some good seeds planted for Season 3, but it’ll require better storytelling that what’s on hand here. The fights kept this score from being lower. Previous Check out The Stuntpeople’s Eric Jacobus in Future Boss! I concur with your assessment and evaluation wholeheartedly. Thank you for telling the truth without fear of retaliation or retribution. I strongly agree with your review. The sub-zero v skorpion fights were weaker than the story…and thats saying a lot. Dacascos & Jacobus were criminally underused whilst the cheesemaster Casper got more time than he deserved (which is any time at all, why was he hired?). Pretty disappointed in this follow up to what was a brilliant first season. Took me four sitting to get through as it was so painfull. I totally agree with you! I liked the first season better. Though I still enjoyed this webseries! I’m afraid I have to agree. I was so pumped for this season, but between the new characters, the re-castings and the lackluster action, the magic got lost. It was a shame that the characters and actors from season 1 weren’t used here. Now, I didn’t dislike any of the new actors, I thought they all did a pretty good job (even CVD), it’s just that the original actors were just as good and the re-castings felt unnecessary. Even the fighting felt like it was lacking weight, making the fatalities oddly detached. On a positive note, however, Erik Jacobus was a nice surprise. I’m glad you agree about Eric. 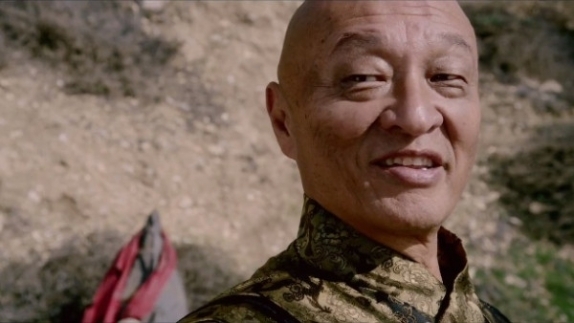 If you check my newest post, Eric puts out his best short martial arts film yet. It’s a lot of fun.